Drivers have a tendency to rear end self-driving cars on the road, according to early data from tests underway in California. California is the only state that requires companies testing autonomous prototypes to report collisions. A total of 19 crashes involving self-driving cars have been reported to the state DMV in 2017, a fraction of the 285 vehicles getting tested there. Federal authorities have high hopes that self-driving technology will be a solution to the thousands of accidents that kill people every year. California reported a total of 3,680 motor vehicle deaths in 2016. Companies racing to bring autonomous cars to the masses have argued that the rear-end collisions with their technology are a clear indication of human fault. Dr. Phil Koopman, a software engineer and Carnegie Mellon professor who works as a consultant for self-driving car companies, says it’s not that simple. He speculates that people may be prone to rear-ending autonomous cars because the “robots” powering the cars don’t quite mimic the behavior of human drivers. “A possible explanation is that these cars don't drive the same way that people do,” Koopman tells ConsumerAffairs. “And if they don't drive the same way that people do, people's expectations of the vehicles would be incorrect." In the absence of federal regulations, states have proposed bills to monitor autonomous vehicles at the local level. California, home to Silicon Valley and 42 brands testing the technology, has led the way. The California DMV requires reporting all prototype-related accidents or disengagements–the industry term for incidents in which the human driver has to resume manual control. It also has a permitting system in place for people who operate the autonomous cars as testers. This year, autonomous vehicles operated by General Motors have been involved in thirteen crashes in California, overtaking Google’s lead in the crash count for the two previous years. Cruise Automation, as General Motors’ self-driving brand is called, says that they have 100 cars on the road, the largest fleet of autonomous vehicles in California. Not all of the cases reported to California DMV can clearly be pinned on other drivers. Google last year admitted that it “bears some responsibility” for a March 2016 crash reported to the California DMV, in which a Lexus SUV, operating under Google’s autonomous technology, hit the side of a bus. The Google car was attempting to drive around sandbags in the right-hand lane when it “made contact” with the bus in the center lane. 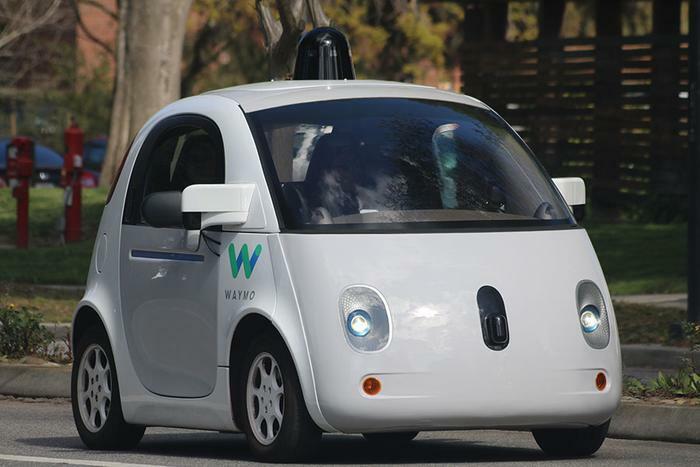 Google’s self-driving car program has since spun off into a new company called Waymo, and a more recent incident report from 2017 indicates that detecting and responding to unexpected road hazards could still present a concern. On August 26, a tester in the Waymo AV disengaged the car’s autonomous technology when he saw an object in the road, according to the crash report. He then quickly swerved right, hitting a van in the next lane over and causing minor damage. In a statement, Waymo says that its technology would have detected the unnamed object had the tester not interfered. “Our review shows our system detected the object and would have responded appropriately and avoided the crash,” Waymo’s press team writes to ConsumerAffairs via email. While Google and other industry powerhouses have made bold predictions that self-driving cars will be ready for consumers as early as 2020, Koopman says that timeline is unrealistic. He predicts it will take closer to two decades to resolve kinks in the technology.